* Note to Internationally-Educated Dentists: These programs WILL NOT prepare dentists to become licensed to practice dentistry in Florida. If you are interested in practicing dentistry in Florida, you will need a dental degree from an ADA-accredited dental school in order to be eligible to take the Florida Dental License examination. Application deadline for all programs is January 31. All Internships/Fellowships are one year in length, July 1 – June 30. Description: An educational experience that lasts one year and includes limited patient care. Internships are open to any dentist (U.S./International) with a dental degree; topics can be either general dentistry or dental specialties. Completion of the Continuing Education Internship Program is an educational goal in itself, and in no way insures acceptance to a Postgraduate Residency Program. 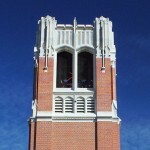 Although many resources will be provided by the selected Department, this is a Continuing Education program and is not listed on the University of Florida Registrar’s records. Description: An educational experience that lasts one year and includes limited patient care. Fellowships are open to any dentist with a dental degree (U.S./International) and specialty training. The topic is a special-interest area in your specialty. Completion of the Continuing Education Fellowship Program is an educational goal in itself, and in no way insures acceptance to a Postgraduate Residency Program. Although many resources will be provided by the selected Department, this is a Continuing Education program and is not listed on the University of Florida Registrar’s records. Description:An educational experience that lasts between one month and a year, beginning July 1 of each year. No direct patient care is included in this experience. Preceptorships are intended for dentists with dental degrees and others who have earned a terminal degree (U.S./International). Topics can be either general dentistry, dental specialties or research topics. Description: A custom-study program that lasts less than one month. No direct patient care is included in this experience. Mini-residencies are intended for dentists with a dental degree (U.S./International), topics could be either general dentistry or dental specialties. A custom-education program of varying length that is open to Florida-licensed dentists who require BOD mandated remediation; this program may involve direct patient care. Courses will be presented by a variety of instructors including UF Faculty, other nationally recognized experts and private practitioners who are known for their standards of excellence. The University of Florida is an ADA CERP Recognized Provider and a member of the Association for Continuing Dental Education.